Online bill pay is a great tool for your fixed monthly expenses. Set-up an automatic payment from your account weekly, biweekly, monthly, etc. to ensure your bills are always paid on-time. This option allows better control of your account than allowing the funds withdrawn directly from your account. 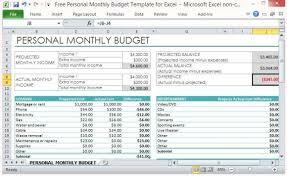 Document all of your income and expenses into a spreadsheet. Determine how much money you want to spend every month for your car, insurance, utilities, gas, groceries, household items, meals and entertainment, home improvement, clothing, vacation and gifts. Next, set aside a monthly amount for emergency savings, short-term savings, and retirement savings. 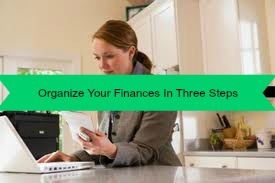 There are a few different ways to set-up systems to maintain your budget. You can designate envelopes for each category and divvy money into each envelope. You can also set-up an automatic transfer to other accounts set-up for each category. A combination of both probably works very well. Set-up a system that works best for you and your family. Most importantly, give yourself some flexibility to modify these steps until you find a system that works for you. Nothing like a chair massage after playing a round of golf! 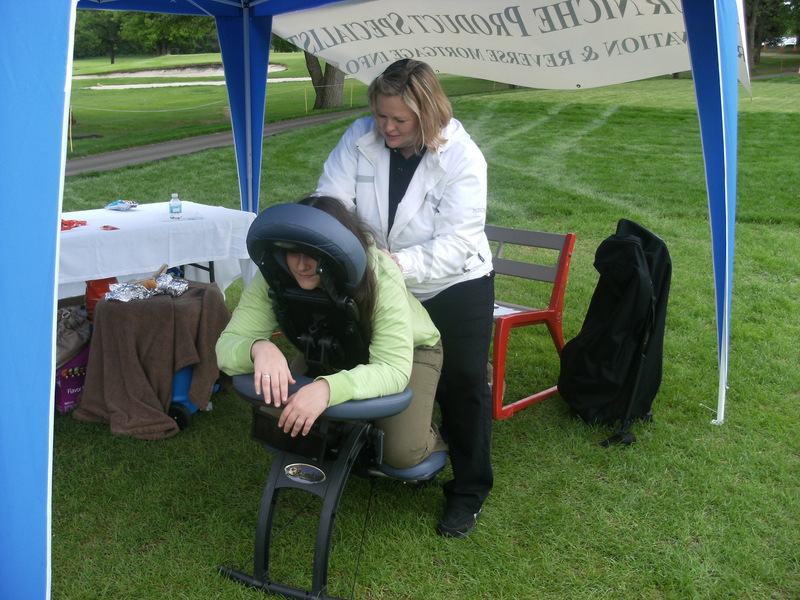 Here’s one of our therapists giving a chair massage at a golf event. This is a great idea for company outings, sponsors, fund raising events, etc. After swinging the club for 9 or 18 holes, a few minutes in the chair will make a lasting impression on the participants.